Dialectical Behavior Therapy (DBT) is a cognitive behavioral treatment which combines cognitive-behavioral theory and methods with eastern meditative principles and practices. Dialectical behavior therapy is used by treatment with personality disorders. It was developed by Marsha Linehan, PhD. 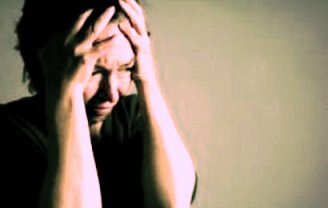 It is a type of psychotherapy that uses cognitive behavioral techniques with mindful awareness. It is the first therapy that has shown to be effective to treat Borderline Personality Disorder (BPD). Borderline personality disorder is characterized by impulsive actions, unstable moods, and problems having relationships with others. Along with often suffering from severe mood swings, they are often uncertain about their identity and self-image. Using dialectical behavior therapy to treat patients with borderline personality disorder involves helping the patient to develop skills for regulating emotions and also reducing the symptoms of borderline personality disorder. There are four categories of distress tolerance skills in DBT: Distraction; Self-Soothing; Improving the moment; Focusing on the pros and cons. Usually, DBT includes a combination of group skills training, individual psychotherapy and phone coaching, although there are exceptions. Patients in DBT are asked to monitor their symptoms and use of learned skills daily, while their progress is tracked throughout therapy. Dialectical behavior therapy has gone a long way from an approach that is used to cure borderline personality disorders in women to becoming a tool that deals with substance abuse behavioral problems. Even though it is now thought that borderline personality disorder is contributed to by genetic factors and actual differences in the brain structure and functioning of the brain in some people. Dialectical behavior therapy is the first cognitive therapy that has shown real improvement in people with borderline personality disorder.